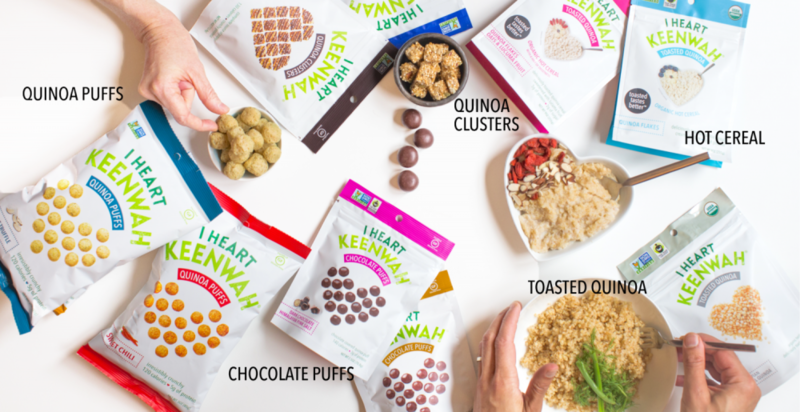 Home / Reviews / Enriched With The Benefits Of Quinoa, I Heart Keenwah Snacks Is All You Need! I Heart Keenwah, is a quinoa company, dedicated to bringing delicious foods to the market that have health-promoting nutrients. The company cooks up quinoa products with great flavors and simple ingredients, making it easy for you to get quinoa, a superfood, into your day-to-day routine. 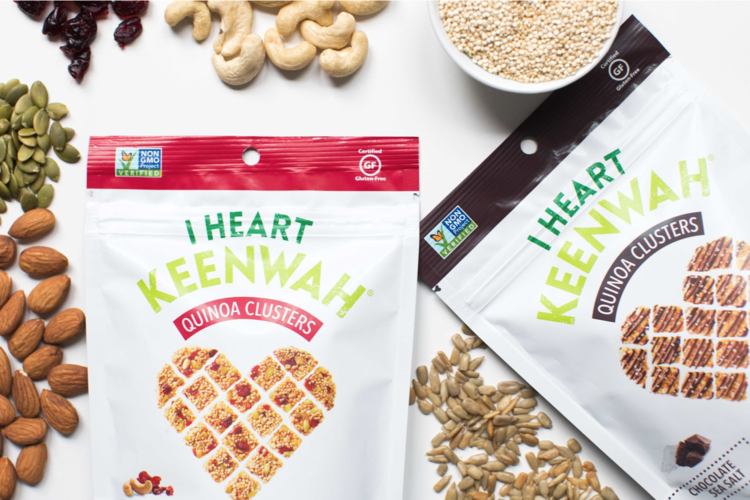 Ravi Jolly and Sarah Chalos, I Heart Keenwah’s founders, chose quinoa because of its numerous health and nutritional benefits—it’s the only grain that is a complete source of protein, containing all 9 essential amino acids. I Heart Keenwah also maintains a sourcing commitment to Bolivian small-holder farmers of heirloom Royal Quinoa. Quinoa is a South American ancient superfood known as the “mother of all grains”. It’s a complete source of protein (containing all 9 essential amino acids) – the same kind of protein found in meat and dairy. Quinoa is naturally gluten-free, low-glycemic, high in fiber, packed with vitamins and minerals, and has a high protein content – between 14-18%. Toasted quinoa just tastes better – unlocking a nutty, roasted flavor. Substitute toasted quinoa wherever you use regular quinoa, rice, or pasta for a protein boost plus delicious texture and flavor. Single-origin organic Bolivian Royal Quinoa cooks up fluffy in just 15 minutes. Quinoa clusters are crunchy little bite-sized squares of goodness. Combined quinoa seeds, crisps and flakes together with simple nuts and fruits. Perfect for an afternoon snack or on the go. Imagine the cheese puff of your childhood, but all grown up. It’s healthy now, made with quinoa and packing 5g of protein, and comes in four refined flavors. The puffs are a great afternoon snack, hors d’oeuvre, or crouton. Light, crunchy quinoa puffs covered in rich, dark chocolate. Made with organic, Fair Trade chocolate, these low sugar treats hit the spot! Toasted quinoa hot cereal takes toasted quinoa to another level! Substitute toasted quinoa hot cereal wherever you use quick-cooking rolled oats, quinoa flakes or hot cereal mix. They cook up creamy in 1-2 minutes. So send Hearts to I Heart Keenwah here!